Alasdair is a Teaching Fellow and Lead Tutor in the department of Genealogical Studies within the Centre for Lifelong Learning. He has been involved in family history research for over 30 years and has a particular interest in the Scottish Highlands. He completed his MSc on Scottish baronies. He was previously employed for many years within the defense and aerospace industry. His research interests focus on the use of DNA in genealogical research. He is currently researching the origin and linkage of male lineages in the British Isles using Y-chromosomal DNA. He also specializes in Scottish land records and palaeography. 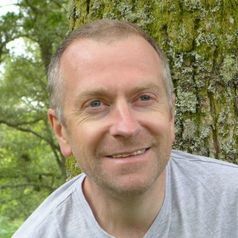 Alasdair is one of the administrator of the Scottish DNA Project and the Flemish in Scotland DNA Project.